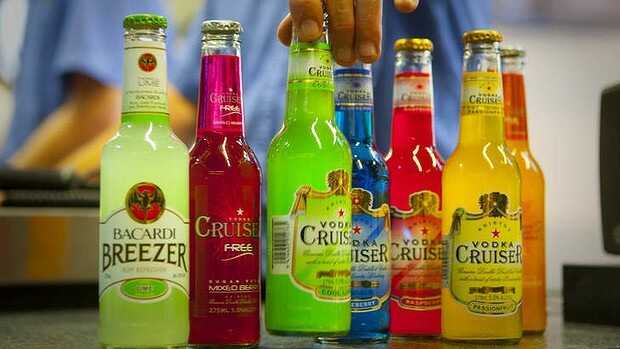 Sugary, usually fruity-flavored and brightly appealing alcoholic beverages that look and taste like soda. Alcopops range from hard lemonades to energy drinks with alcohol already mixed in. Alcopops contain the same amount of alcohol as beer, but hides the high amount of alcohol under the sweetness of the drink. Alcopops are just as dangerous as any beer. 25% of teens who tried alcopops drove after drinking and drove in a car with a driver who had been drinking. Sugar in alcopops hide the true amount of alcohol. They are brightly decorated with sweet fruit-flavored so that the youth will drink them. Alcopops contain as much alcohol as beer. It is illegal to sell alcohol to a person under the age of 21 in the state of Hawai'i. It is illegal to consume alcohol if your are under the age of 21 in the state of Hawai'i.